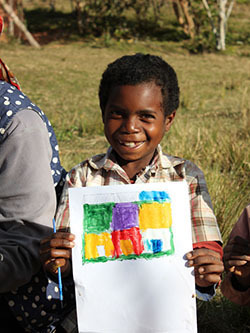 2013 Fundraising Drive: Help Support Mahatsinjo School! 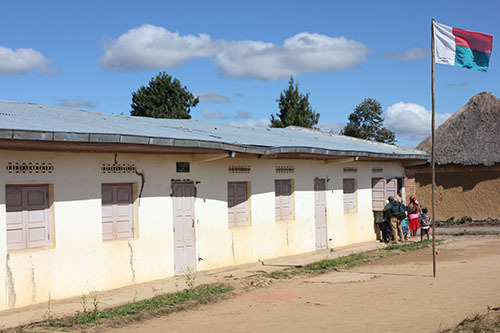 In 2005, Sadabe partnered with the Madagascar Ankizy Fund to build the RAH King School at Mahatsinjo, in order to serve the rural communities within Tsinjoarivo Forest. Previously, only a community-run elementary school with prohibitively high school fees was available - consequently, few children graduated from elementary school, and many could not attend at all. 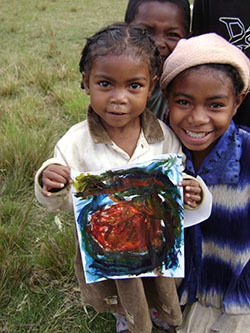 The RAH King school has been a huge success and has regularly served more than 200 children per year. The motivation to attend has been so high that many children walk up to 1 hour each way, often in bare feet. The classes have even grown, to the point that parents have worked together in 2012 to add a very basic fifth room to the school. However, to continue this important tradition, we need your help. 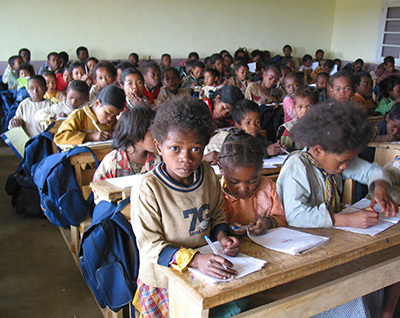 In 2012 Sadabe agreed to take over school funding from the Madagascar Ankizy Fund. Last year, with your help, we raised $4575 and kept the school running for roughly 250 kids. This year we are asking for your help in meeting our fundraising target of $5000, which will cover the four teachers' salaries, school supplies, additional teacher training, and some much-needed building repairs. Your gift of any amount will help us reach this goal. It's a bargain when you realize that this $5000 will help almost 250 students - that's $20 per student! Please help us keep providing this crucial service to the kids of Mahatsinjo! 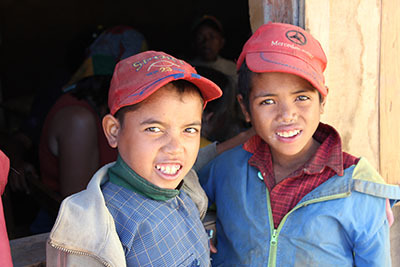 Madagascar's official language of instruction is French but many schools now include substantial Malagasy language instruction. 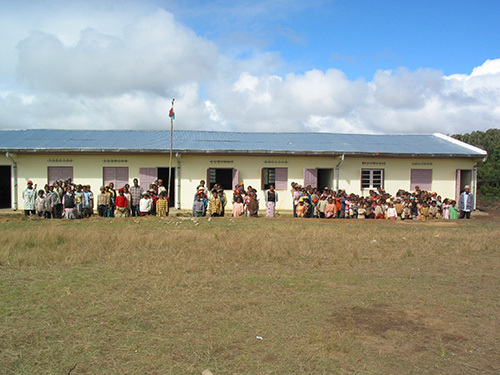 RAH King School when inaugurated in 2005, with the first class of students. RAH King School in June 2012: still strong but in need of maintenance. 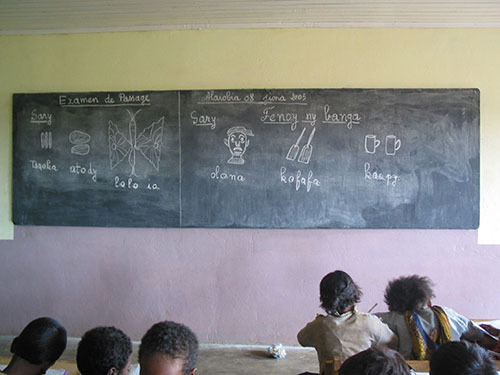 Sadabe has often partnered with volunteers to supply additional open-air classes to local schoolchildren, focusing on arts, english language and environmental education. See more about these efforts here.